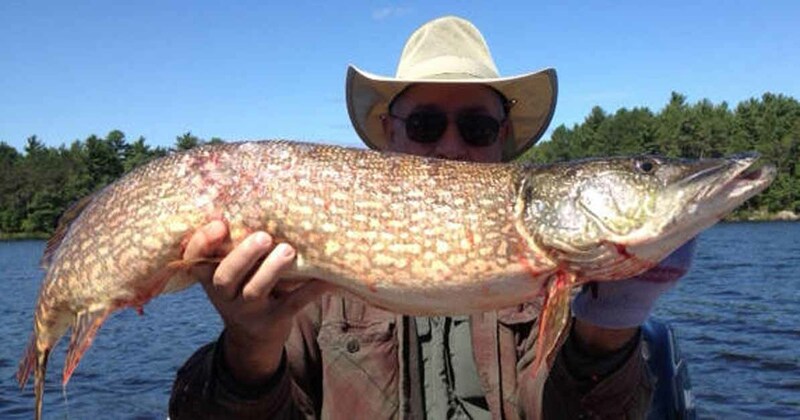 Lake Nipissing is home to some absolutely huge northern pike. 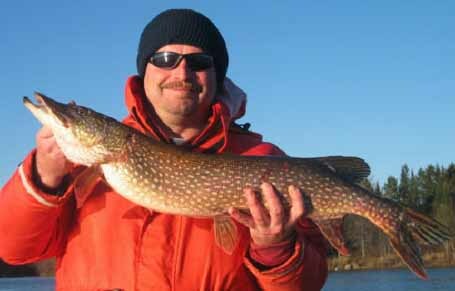 The lake`s size and forage base enable northern pike to attain impressive dimensions. 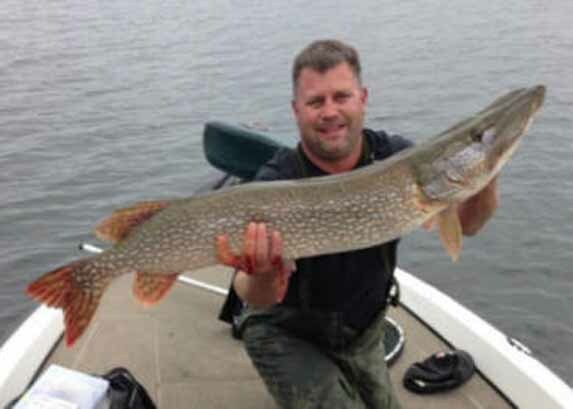 Expect to catch a trophy northern here! 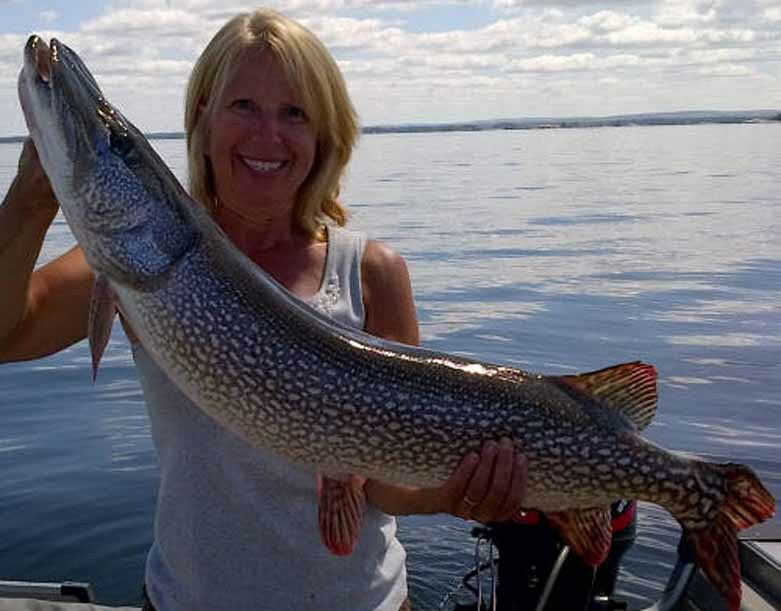 This big lake holds some big pike! 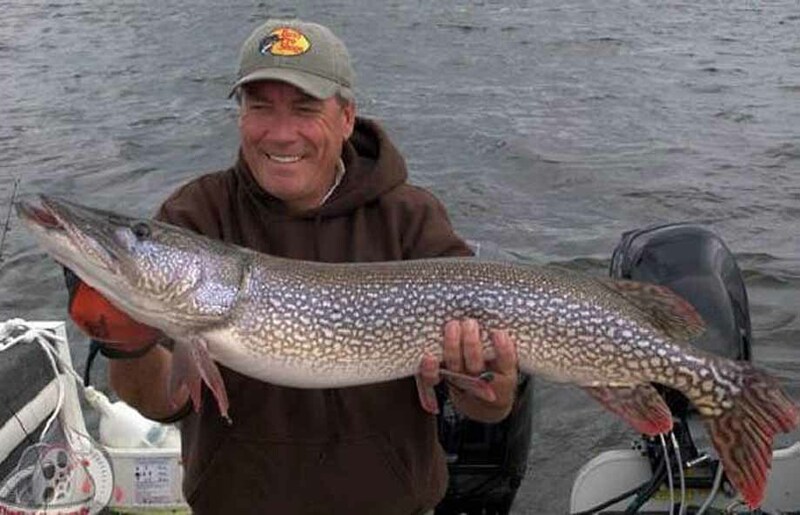 In the summer, shallow weedy bays will hold plenty of small to medium sized pike in the one to five pound range, but if you are in search of a monster, look to ambush spots adjacent to, and in deep water areas where large baitfish are present. 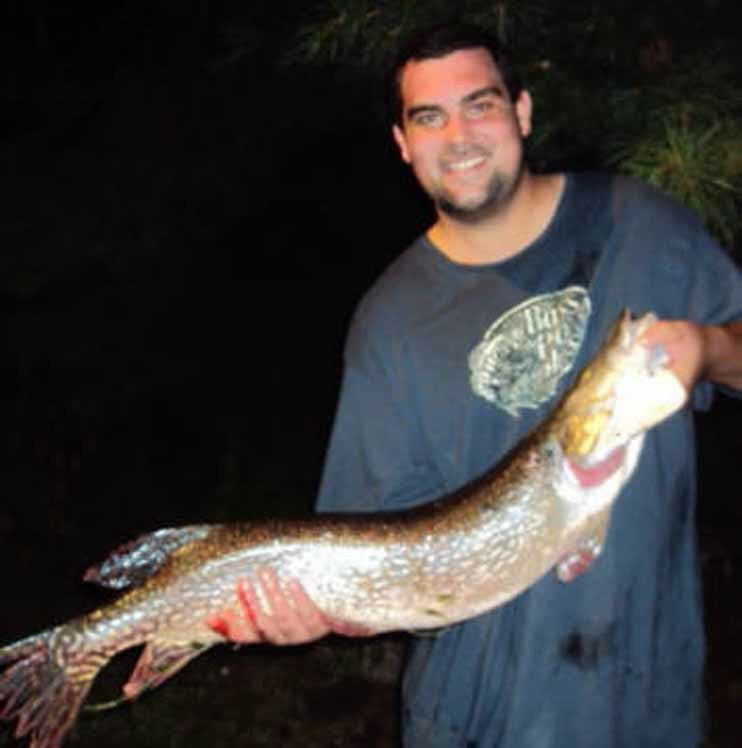 In the spring, large pike in the fifteen to twenty pound range can be seen spawning in Beatty Creek behind the resort and can be found in the South River, the river mouth and the southernmost portions of South Bay from the season opener until the water warms significantly. 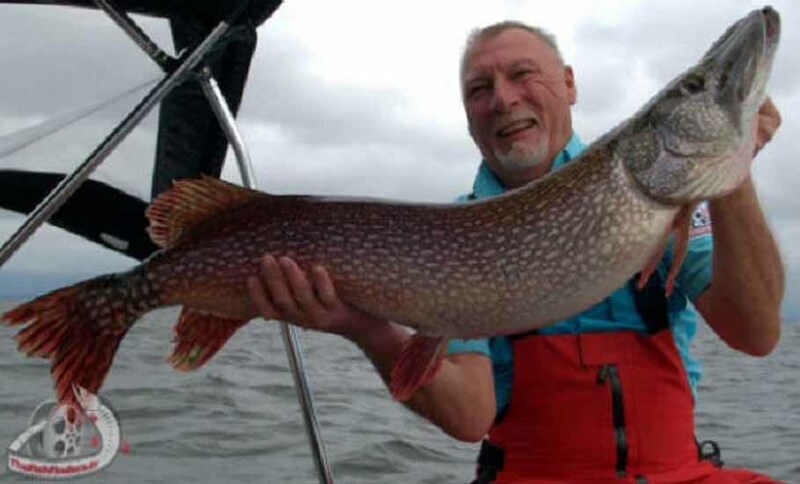 As the water cools with the approach of autumn, Lake Nipissing`s population of large pike will move from their deep water haunts into these locations again. 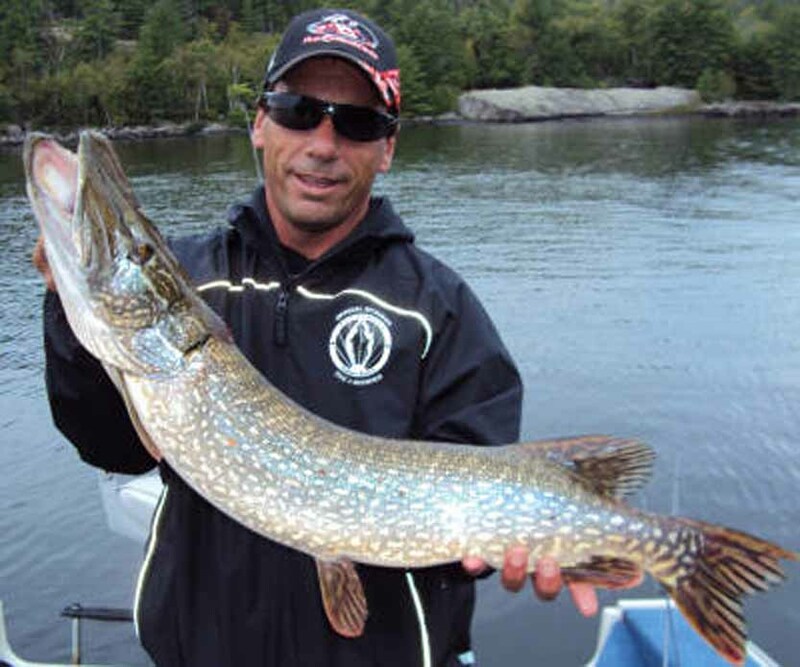 Let us point you in the right direction or let us arrange a professionally guided adventure for you! 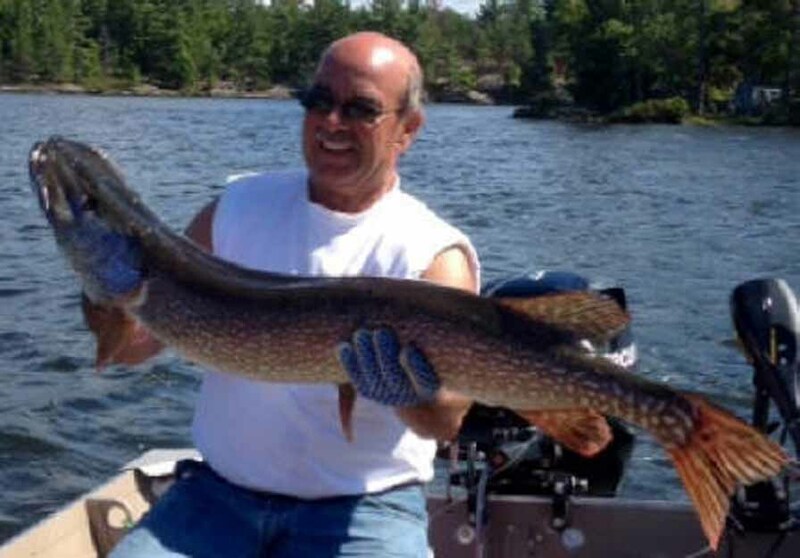 Select "Fishing Charters" above for more details.